When I select Barron (kit???) and not in red I get details of Fantail. Have I a problem? I've just seen the Striker! Gets my vote. My apologies as I now understand how voting occurs. Still get no info if I select Barron and is this a kit build other than scratch build? Hi John, for the mass build I would be looking at flea fli and the KF4 40 none of the others really appeal to me at the moment. In this case should I just vote of once and not pick a second one or third choice as I would have no intention of building those. Love the Skywriter but should I include the SLEC Funfly as in the distant past I've built (and destroyed) 2 of the foam wings ones already? Regarding the Baron 1914 or the Svenson Vicomte 1915 - which are the same in fact as Mr Briot, the editor of the French ‘Modèle Magazine’, licensed Svenson to produce a kit of their published design by Christian Chauzit. Here is the Svenson Vicomte 1915 free plan on Outerzone. For those who should want the laser cut approach, here is a kit in France called the Baron 1914 at a very acceptable €72,-. Regarding the Baron 1914 or the Svenson Vicomte 1915 - which are the same in fact as Mr Briot, the editor of the French ‘Modèle Magazine’, licensed Svenson to produce a kit of their design by Christian Chauzit. For those who should want the laser cut approach, here is a kit in France called the Baron 1914. Something about the striker hit me in the face. Somehow I don't think it will get there. I'm actually still sitting on the fence about joining the 2017 MB. I'm trying to clear out my hangar but I'd join in just for the fun of building something 'different'. Note.....different. No matter what is chosen, if I joined in, I'd stick to my normal approach of foamboard and, it possibly could be the same but 'different'. It may involve an EDF? Let's just wait and see what the outcome of the voting is. I'm very tempted by the Skywriter but there's the 3-Way, the Mew Gull and the DB Cirrus Moth as well !! All threads now moved into Mass Build 2017section in topics, that's where all build blogs should go when we get there. Thanks Steve. Deep in the very centre of La Belle France, where the Baron is something of a classic, I will be building a Baron 1914 over the winter regardless of whether it is adopted for the MB. There are at least five other Barons in the club; three serviceable, one requiring attention and the fifth in the course of construction. By next summer we will have a squadron, or at least a flight for our summer display! 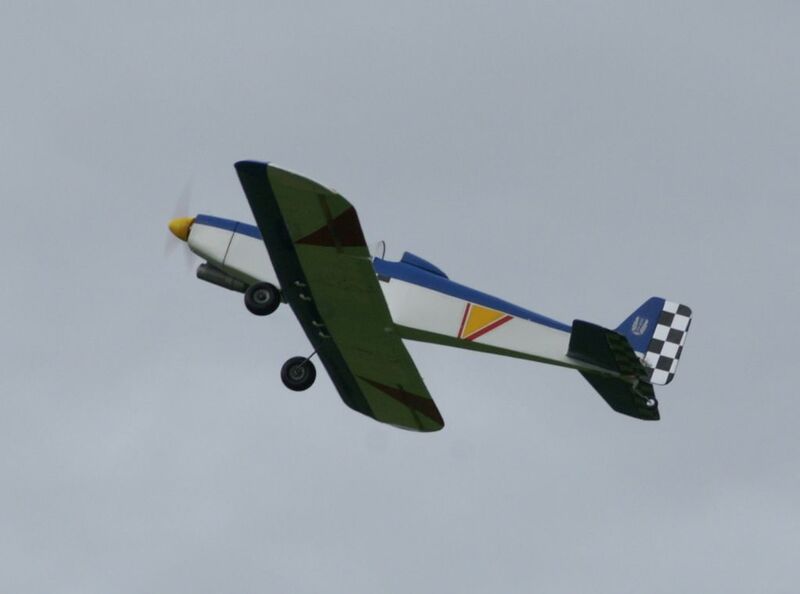 I plan to finish mine in the colours of Tone Bayetto's Morane Bullet, to add ailerons and to power it with an OS 40 FS. I may even reduce the size of that enormous fin and rudder! In the list of planes to vote for there is Evans Volksplane but I wonder whether the link is to the correct plane - i assumed it would be the Peter Miller version but it's not it's a smaller one. The Miller version would be better as it was an RCME free plan not too long ago ( Aug 2013 ) and many people would have this plan somewhere. Frankly I favour the SLEC Funfly as number one choice - it's a proven kit with good instructions which would help newcomers to building. The kit is very comprehensive and therefore more complete than the 'cut part' wood packs sold for plan models. The Funfly is much better value. The ideal model to start building and an intermediate or everyday model as regards flying. IC or electric kit versions available. 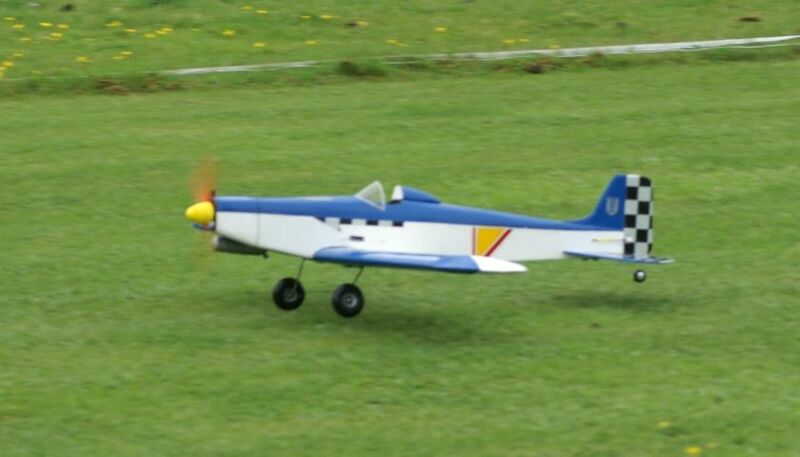 The various Kwik Fli versions are good but although simple to build they are not beginners planes.